Full dentures are commonly referred to as a complete denture because they are able to completely replace all of your lost teeth in either of your jaws. A full denture is either removable and meant to lay on top of your gums, or it can be fixed and attached with a set of dental implants. Before getting a full denture, your remaining teeth need to be extracted. As soon as you have healed, Dr Wroblewski and Mark, our Denture Practitioner will make and place the denture and make sure it’s completely comfortable. 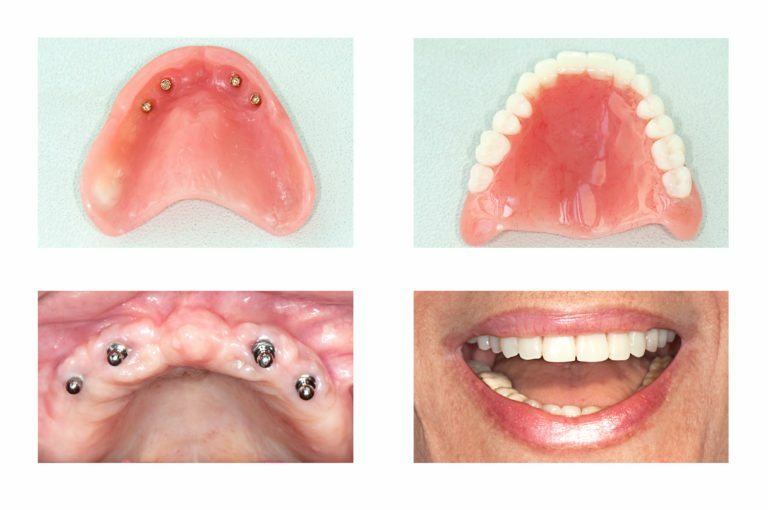 How Does a Mini Implant-Supported Denture Differ from Other Types? These dentures rely on dental implants to stay secure in your mouth. This makes them much more stable than a traditional denture that merely sits on top of your gums and has a tendency to slip. You can envision what a mini implant is and how it works by thinking of a snap on your shirt or coat. It snaps in a similar manor. 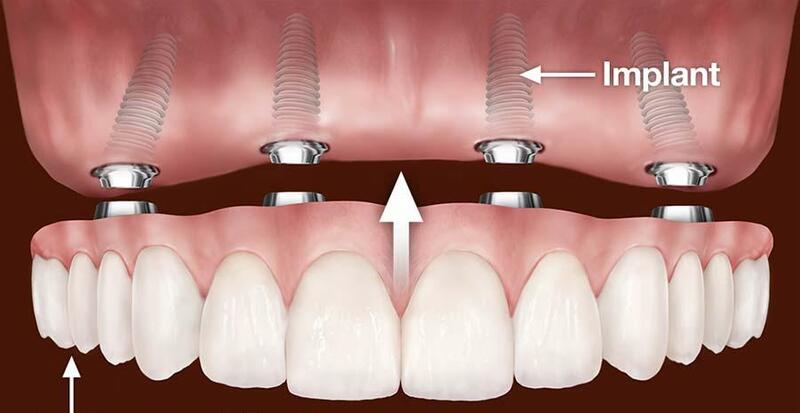 A mini implant-supported denture is primarily used to replace the lower teeth because your upper teeth don’t demand the same high level of stability. Please note, these dentures still require the nightly removal and cleaning of a traditional denture. What Should You Expect When Getting a Set of Dentures? No need to worry because very little is involved in getting dentures. All the procedure requires is a few basic steps that can vary based on the type of denture requested and the state of your dental health. For most people, the process begins by visiting Dr Wroblewski to have dental impressions and oral measurements taken to make sure the final denture fits well. Afterward, she will extract any diseased teeth. Soon after, she and Mark, our Denture Practitioner will fit the new dental appliance for full comfort. At our practice, we understand that many of our patients have concerns about what dentures cost, which is why we pride ourselves on offering a wide range of affordable quality dentures. Since the total costs of a denture can vary greatly by the price of its materials and your need for dental preparation, Dr Wroblewski can recommend the varieties that would best suit your personal budget and restoration needs. Please call our practice to schedule an informative consultation.